For three quarters, the Cavs looked like a team that just spent the last 18 hours celebrating a Buckeyes’ win over Michigan. Then, the fourth quarter started. The Cavs stepped on the gas pedal and outscored the Philadelphia 76ers 35-27 over the final 12 minutes, led by 19 points in the quarter from Kyrie Irving. 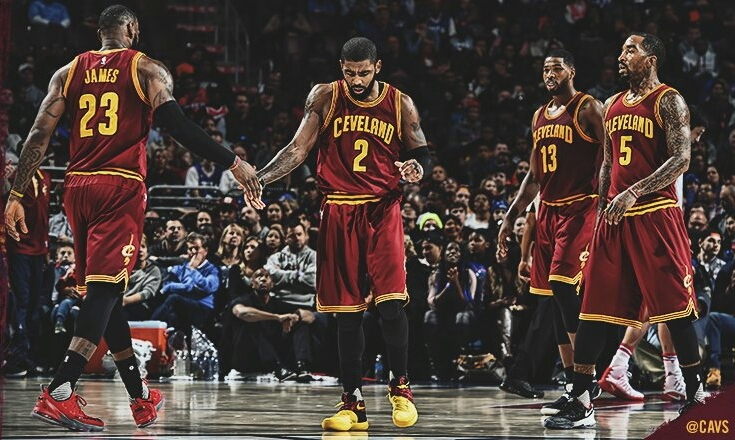 Irving finished with a game-high 39 points, making it the second time this season he has eclipsed 30 points. LeBron James posted his 45th career triple-double and the second in three games, scoring 26 points, grabbing ten rebounds, and passing for 13 assists. Kevin Love added another double-double to his resume, finishing with 25 points and 11 boards. The Big Three combined to score 90 of the Cavs’ 112 points. Our Role Player of the Game is Tristan Thompson, who came up big in the fourth quarter and ended up with 12 points and 12 rebounds. The Cavs (13-2) travel to Milwaukee (7-8) for a Tuesday night match vs. the Bucks.